These road deaths are on the increase especially in London. For bike accidents fatal and non-fatal accidents causing serious injury see our webpage: London cycling deaths and compensation: this will take you to our specialist cycling webpage on fatal accident claims. 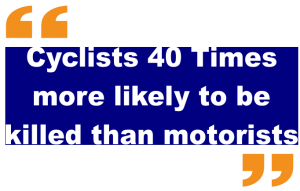 Cyclists are likely to be killed on a bike than any other means of transport. 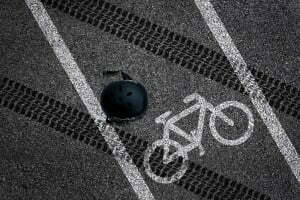 80% of cycle accidents claims are as a result of the fault of the motorist or lorry driver. The consequences of fatal road accident are devastating. Fatal Motorcycle accident claims occur frequently often resulting in death on UK roads. As a motorcycle rider you are 40+ times more likely to be killed than car drivers or passengers. We do understand that compensation following a fatal cycle road accident is often a secondary thought, but making a claim helps maintain financial stability and relieve the financial worry and stress that comes with losing a bread-winning spouse or partner. 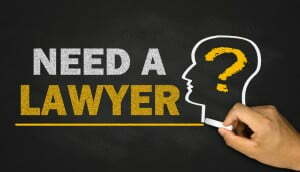 Once you have considered and thought about taking legal advice the next thing to consider is the costs of instructing a solicitor that specialise in fatal cycling road accidents. You can be assured that the family and or the dependents of the deceased who instruct us following a tragic loss of life will not have to worry about their legal costs as we operate under a No Win No Fee Solicitors for fatal injuries basis. At least there is one thing less to worry about. 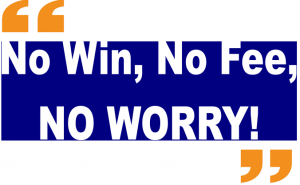 What About When You Win? Dealing with fatal cycle accident compensation claims has become a challenge to bereaved families since the law change in April 2013. If you WIN your claim you may have to pay up to 25% of your compensation to your cycle accident claim solicitors. So if you were awarded, say £50,000 you may have to pay your cycle fatal accident solicitors £12,500 leaving you with only £37,500. Most of our client’s benefit from lower fee than most fatal cycle accident compensation claims if the case is won. It can be expensive if you instruct a solicitor who charges a large success fee if you win. For our part, if you instruct us, you have the ability to keep 100% of the fatal accident compensation award. Please contact us for further details. As fatal bike accident claim solicitors we can help you to recover compensation for the dependents and help get to the truth of what happened whilst providing a compassionate service that takes into account your individual needs and concerns in addition to any other dependents and interested persons. In such a tragic time as a fatal accident claims our cycle accident solicitors appreciate that compensation for a motorbike or cycling fatal accident is secondary to the grieving process and to find out what happened. Following the heartbreak, legal issues tend to become prominent to help get to the truth and a form of justice. The financial stress also plays a part especially if the “bread-winner” is killed following a fatal motorbike accident or fatal cycle accident claim. This is where specialist injury claim solicitors can help the family in this most difficult time. As fatal accident claim solicitors we shall help every step of the way from dealing with the police to coroner and inquest hearings. In the meantime, if the opponent admits fault to the fatal accident claim, we can then arrange for interim compensation payments to help with the bills that do not stop following a fatal cycle accident.